At McBride Orthodontics, our promise is to treat our patients in such a way that their lives are better because they walked through our door. You can trust Dr. McBride to be dedicated to creating a beautiful smile that will give you confidence wherever you go. We honor our scheduled appointment times. Very rarely do our patients have to wait to be seen. Patients refer their friends and generations of their family to Dr. McBride for their orthodontic care. Orthodontic treatment is a life-changing investment in your appearance and your oral health. While many people associate wearing braces with achieving a straight smile, there are numerous benefits to having adequately spaced teeth. A straight smile can increase your oral health and protect your teeth from untimely wear due to a misaligned bite. Dr. Matthew McBride knew from a very young age that he would pursue a career as an orthodontist. 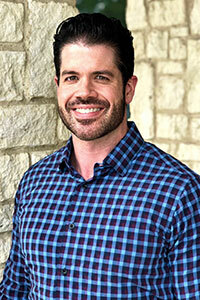 He attended Baylor College of Dentistry in Dallas, graduating with a DDS degree in 2008. In 2012, Dr. McBride became a Diplomate of the American Board of Orthodontics, demonstrating pursuit of continued proficiency and excellence. He is a member of the Greater Dallas Association of Orthodontists, where he served as President, and he belongs to the Pitts Progressive study group and the Schulman Study Club, an invitation-only national study club composed of outstanding orthodontists. Dr. McBride has also had his work published in the American Journal of Orthodontics. Great experience! Dr. McBride perfected my smile after two others have failed. His staff is amazing and I highly recommend this office. If you are an adult considering braces, you need to see [him]...Thank you...for your vision, encouragement, skill, and for your patience with me! The best! Dr. McBride & his staff are caring, professional, & have the patients best interest at heart at all times. Highly recommend, such a positive experience. We feel blessed to be in thier capable hands. While receiving orthodontic treatment is normally associated with pre-teens and teenagers, millions of adults wear braces to correct their tooth alignment and bites. Our team specializes in providing effective orthodontic treatment. A visit at our office will help us to determine the best solution for your child’s needs. This innovative alternative corrects spacing issues between teeth and can improve one’s bite without the need for fixed oral appliances like wires and brackets.